Corporate Civil Recovery Inc. was formed with the primary goal of providing highly effective, responsive service in the field of automotive repossessions. We bring together partners with a combined 25 years experience in the fields of Bailiff seizures, towing, automotive finance, collections and paralegal services. To acheive our quality service goal, we are comitted to distinguishing ourselves by coupling an exclusive focus on automotive repossessions with integrated technology. This two pronged approach will provide our clients with an industry leading level and manner of service. 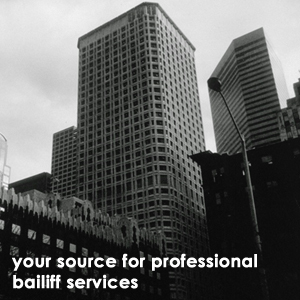 We look forward to being your source for professional bailiff services. © 2005 Corporate Civil Recovery Inc. All rights reserved.